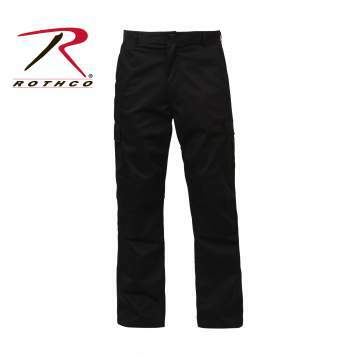 Made for both comfort and great looks, the Rothco Black BDU Zipper Fly relaxed Fit Pants. 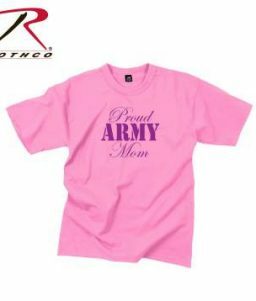 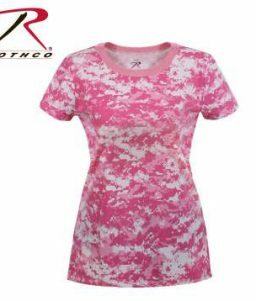 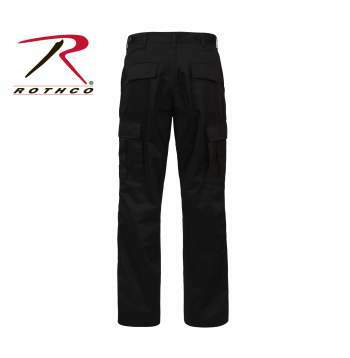 SKU: RO-2971 Categories: Women's Clothing, Women's Pants Tags: BDU camo pants, bdu pants, BDUs, black bdu pants, camo pants, camouflage pants, uniform pants, Womens BDU pants Brands: Rothco. 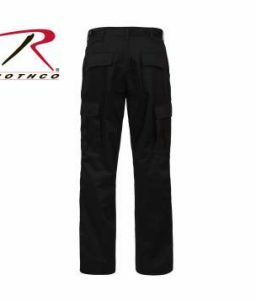 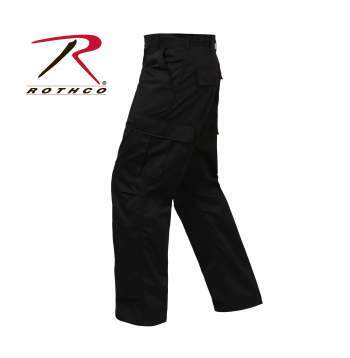 The Rothco BDU Zipper Fly Relaxed Fit Pants are 55% Cotton/45% Polyester for rugged long-lasting wear. 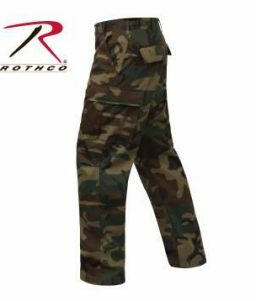 They have a 1″ wider leg than the standard G.I. 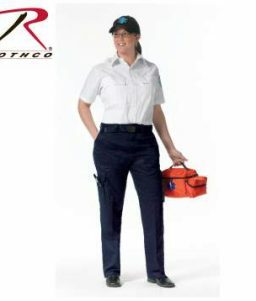 Battle Dress Uniform, but are made out of the same material. 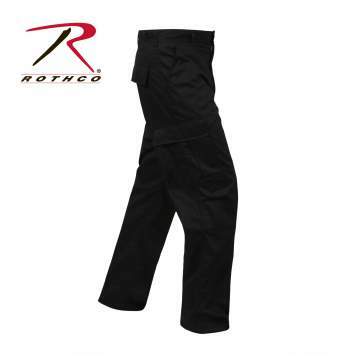 They also feature reinforced knees and seat and have adjustable waist tabs. 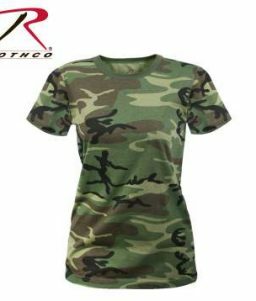 Also available in Woodland Camo (RO-2941).